Stephen W. Pratt is professor of music and director of Bands/Wind Conducting at the Jacobs School of Music, where he conducts the Wind Ensemble and teaches graduate conducting as well as other courses in the Wind Conducting graduate program. 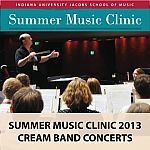 Under his direction, the renowned Indiana University Wind Ensemble has performed at several national conventions and in other distinguished venues. 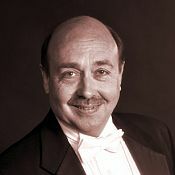 He has been a member of the IU Jacobs School of Music faculty since 1984. In 1993, he was a national recipient of the Distinguished Service to Music Medal awarded by Kappa Kappa Psi, the national collegiate band honorary organization. In 1998, he was honored with the Outstanding Bandmaster Award by the Gamma chapter of Phi Beta Mu. In 2001, he was honored with the Outstanding University Music Educator Award, given by the Indiana Music Educators Association. Professor Pratt is in demand as a guest conductor and clinician of bands and orchestras across the nation. He is a member of the American Bandmasters Association, the College Band Directors National Association, the National Band Association, MENC, Phi Beta Mu, and the Indiana Bandmasters Association. He is music director/conductor emeritus of the Bloomington Symphony Orchestra as well as past president and current board member of the Big Ten Band Directors Association.